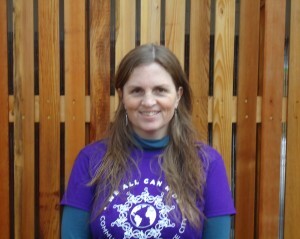 Yvette Maranowski joined We All Can Ride, New Columbia’s bike committee, in April of 2012. 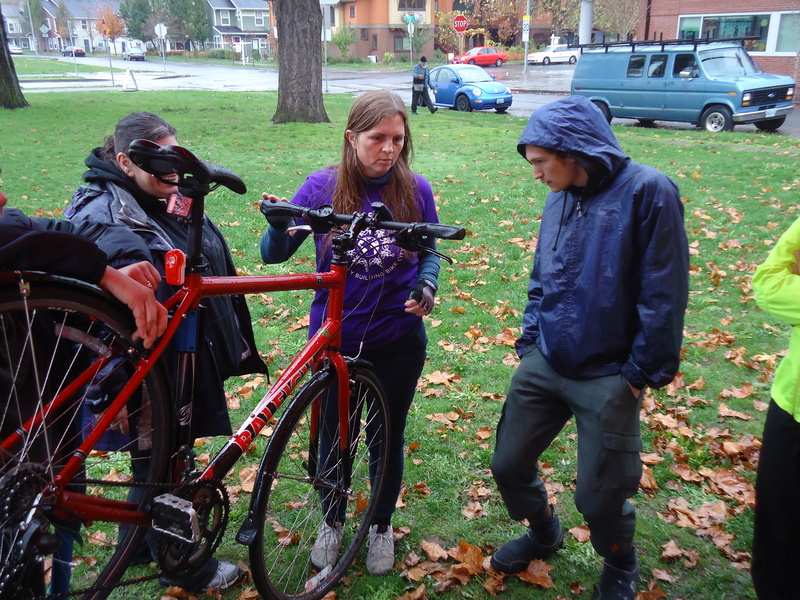 She is a regular volunteer at the Bike Repair Hub, which opened in October. How did you get involved with We All Can Ride? 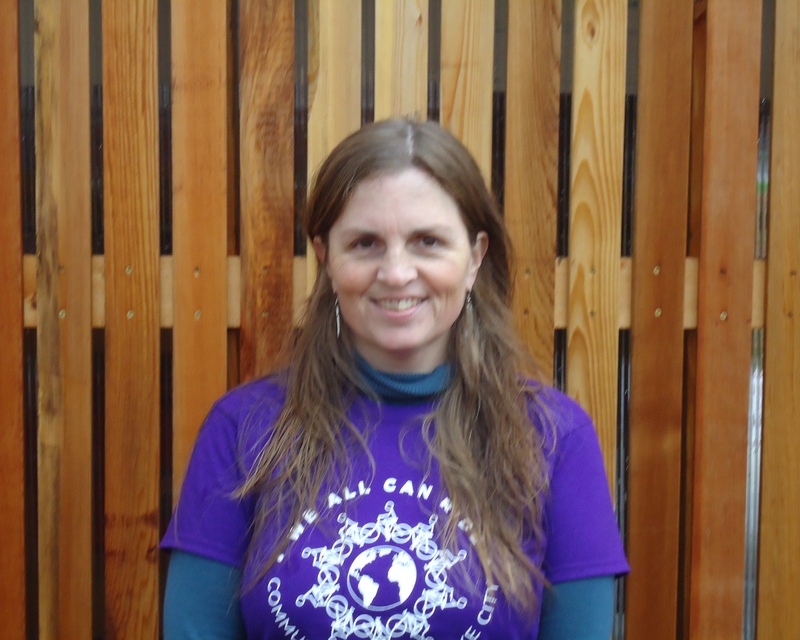 I got involved because a colleague, one of the two founders of We All Can Ride, asked me to come to the meetings and get involved. Prior to attending the meetings, I didn’t visualize myself doing anything with bikes, because my bike wasn’t working at the time. I went to the meetings in faith/solidarity with my colleague. I have learned how to do basic repairs for bikes, as well as practical information about how to make the bike experience best for the rider. I’ve also learned that it’s possible to work together as true allies, in a way that most organizations only talk about! What is your favorite part about being involved with this group? “How we roll.” We joke around and have fun together, and we get through tough times together as a real community, which is rare and meaningful. Nothing compares to that! How did you earn/purchase your bicycle? I got my bike 15 years ago in California. It was in disrepair in storage for almost as long. It came back to life after all those years with the amazing help of the Community Cycling Center people, who helped me fix it, and get things I needed to ride, like a helmet. Why is bike riding important? 1) They empower the rider to have more control over their own daily lives, which can be miraculous. 2) Bike riding creates an instantaneous effect on the physical world, like a person’s health, and fuel consumption, so fewer people die for oil and there is less damage to the environment. 3) These effects add up over time, gaining momentum. Populations benefit, and politicians adjust. Aside from a total shift in consciousness, I don’t think anything could change the world more than a bike can. About four times a week. I like to ride on good bike trails and anything which is not too bumpy. I prefer places without exhaust fumes. I usually ride by myself because I mostly run errands on my bike. How has your bike changed your life? Prior to having my bike, everything I did had to be planned. Now with my bike, I am able to “get up and go.” This was like having wings and all of a sudden I felt normal and strong. With the bike, I had confidence to do things freely, and it was like thawing from a 15-year “deep freeze.” I also just enjoy riding my bike, and to build enjoyment into everyday life like that is fantastic! Why are you excited about the new Bike Repair Hub? The Hub is brick and mortar. It’s on the ground and so real and tangible! I can go past it and see that it’s still there. No one’s going take it away. And it’s there for the sole purpose of helping this community. I love working at the Hub because the Community Cycling Center folks are so helpful with every aspect of operations, which allows We All Can Ride to focus on connecting with the community. This allows us to meet our goal of sharing bike knowledge and inspiration, instead of just rushing through things. It’s lovely to be a part of something that works so well! The Hub is important for low-income communities, like New Columbia, because it sends the unshakable message that “you are important. Your bike is important. We really mean this and we’re backing it up with tools, a building, our experience, and our time.” This invariably changes the way people think and feel. This is powerful. This changes culture and the future!